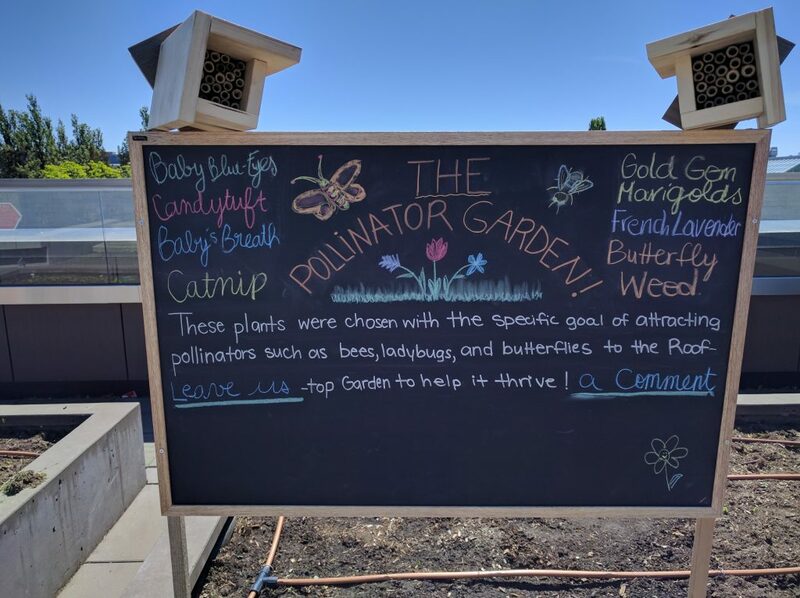 Pollination Garden – We are – Roots on the Roof! 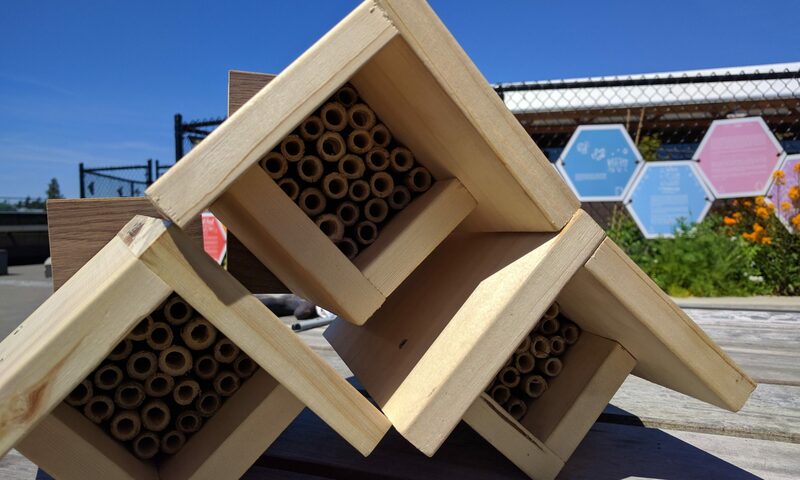 In the Spring of 2016, the Roots on the Roof team decided to dedicate one of our five extraneous garden beds to become a pollination garden. 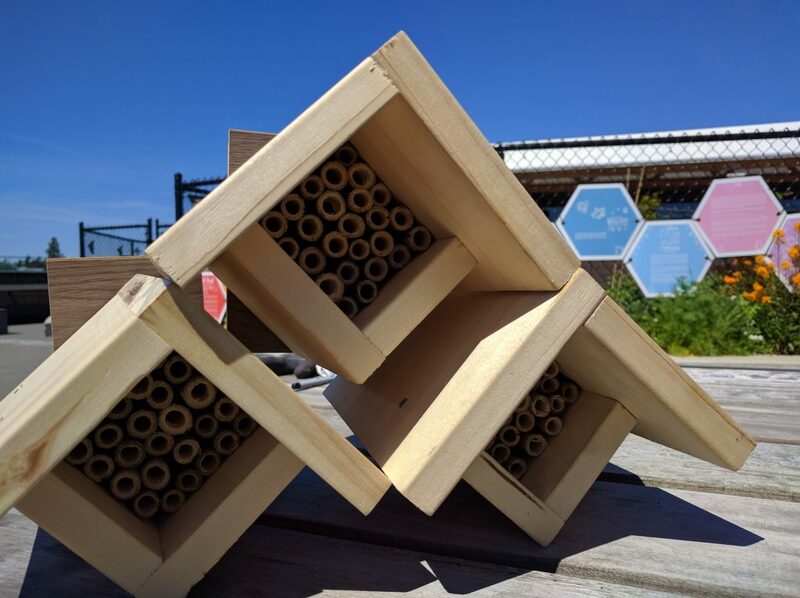 Here, the team planted a selection of flowers in the bed and built some mason bee homes to attract pollinators to the roof. The project was completed by a standing chalkboard where community members could share garden-themed riddles and jokes. 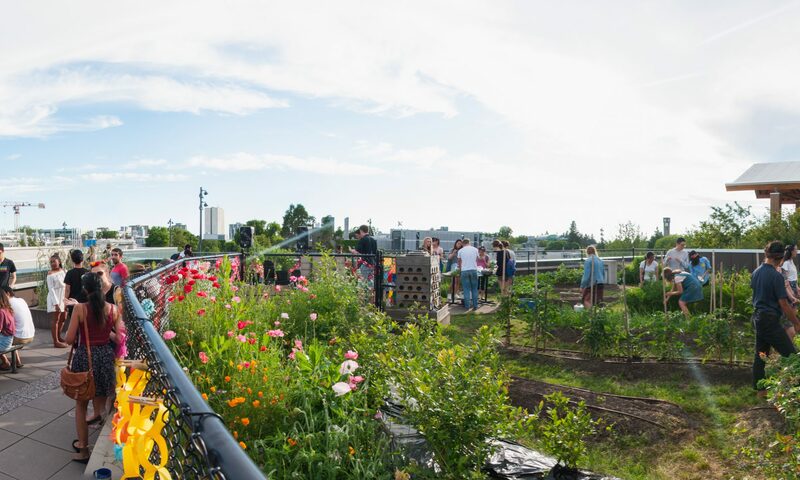 Today, the pollination garden is in colourful bloom and the rooftop is decorated by the presence of birds, butterflies, and bees.